On the heels of this article a few weeks ago, I've been thinking recently about appropriation in photography. I'm not a huge fan of Richard Prince's work but I do hope his appeal is successful, since enacting a legal restriction on such an integral artistic tool would seriously crimp the creativity of all sorts of people. My opinion on the Prince case is based on an objective evaluation of its legal arguments. 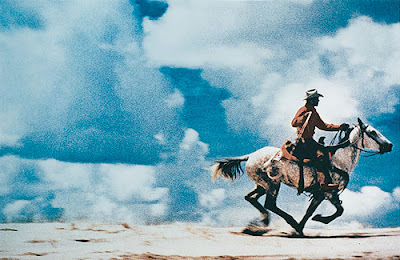 That said, I admit I have a small personal stake in the matter since I've set up a side business selling copies of Richard Prince's Marlboro Man photos. I've had great success with this one in particular. If you buy the photo above from Prince it'll set you back several thousand dollars. In comparison, I think most will find the $19.99 price of my appropriated version quite reasonable. I'm not the only one who's been pondering copyright and appropriation. Slate Magazine devoted a large profile to the topic of artistic plagiarism last week, helpfully linked to by Jörg Colberg. Both articles are available from me in limited edition print form for $14.99. "The Act of appropriation is no longer an issue. It's one of the things artists do without questioning the practice any more. However, it is a very vital practice. For me appropriation is the obvious form of modern realism. If the world has turned into a world of images it is the job of the realist artist to pay attention to this image world, to reflect upon it, to research it..."
Schmid walks his talk. His work pays very careful attention to the image world, in particular his books Other People's Photographs. The series collects photos found on publicly shared websites and publishes them as categorized material. There's a Faces in Holes book, a Fauna book, Feet, etc. There are 96 books in all. If you buy these titles from Schmid each one will cost you 36 Euros. However, I've taken the liberty of appropriating his idea for my own series, and I believe mine are a far better deal. My series Another Person's Books is available for only $8.99 per title, or 3/$20. I needn't point out that for less money the buyer receives multiple appropriations of the same material. For fans of appropriation it's a no brainer. "Roaming virutal streets has outdone street photography," says Schmid, a reference to the recent spate of Street View books such as A New American Picture. "Is there still anyone out there with a camera, except for the ubiquitous, digital-snapshot pest?" A very good question. Why bother making new photos when old ones can be reshuffled just as easily? By the way, the full transcription of the Schmid/Cotton conversation can be purchased from me for $2.99, or else just $4.99 for the entire issue of Photobook Review. These are all fine but the king of appropriation has to be Eric Doeringer, an artist who's based his career on re-interpreting wellknown artworks. 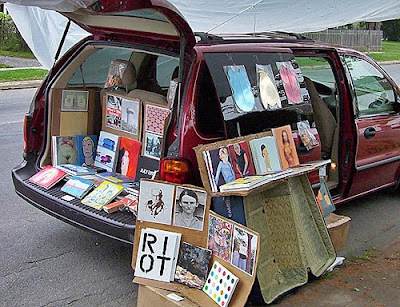 For years he sold bootlegs of famous paintings on the street in NY's Chelsea District. This is only one example in a long career playing with appropriation. Everything from Conceptual Art recreations to Destroyed Iraqi murals to Tattooed moles can be found on Doeringer's site. To the uneducated layman this might seem like blatant copying, but in the art world it has become accepted as a type of guerilla appropriation. The act of replication is the art. Gradually Doeringer's copies have become established on the art festival circuit and are now collected in various museums and galleries. For photographers, his Ruscha book series is of particular interest. 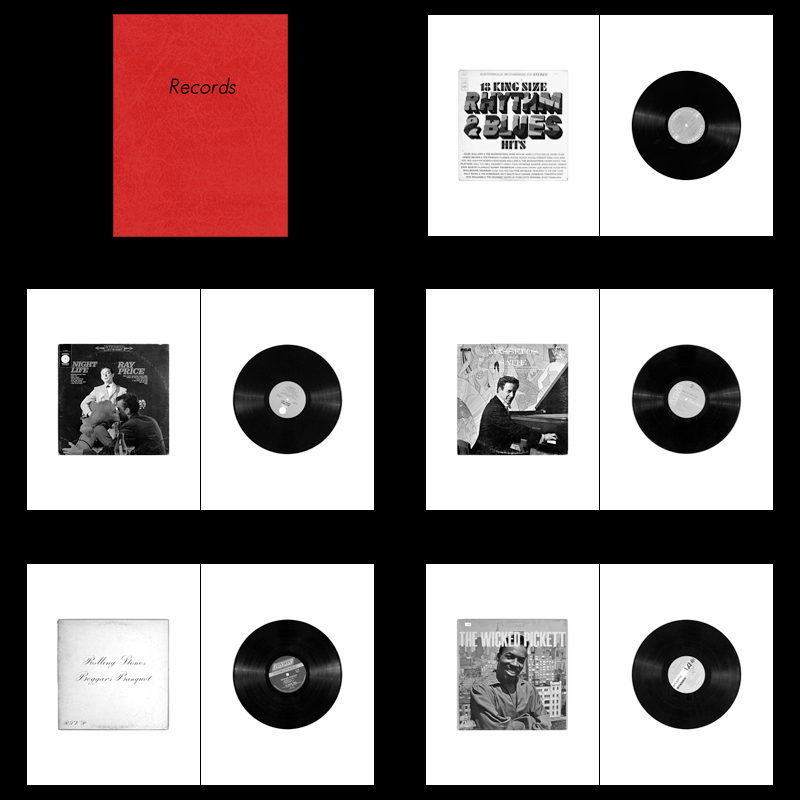 Copying the exact sequence and layout of three Ruscha photobooks from the 1970s —Real Estate Opportunities, Some Los Angeles Apartments, and Records— Doeringer tackles appropriation head on. To make the first two titles Doeringer rephotographed the exact locations depicted in Ruscha's books. For Records, he methodically collected and then photographed every record in the Ruscha book. Not a simple task by any means. 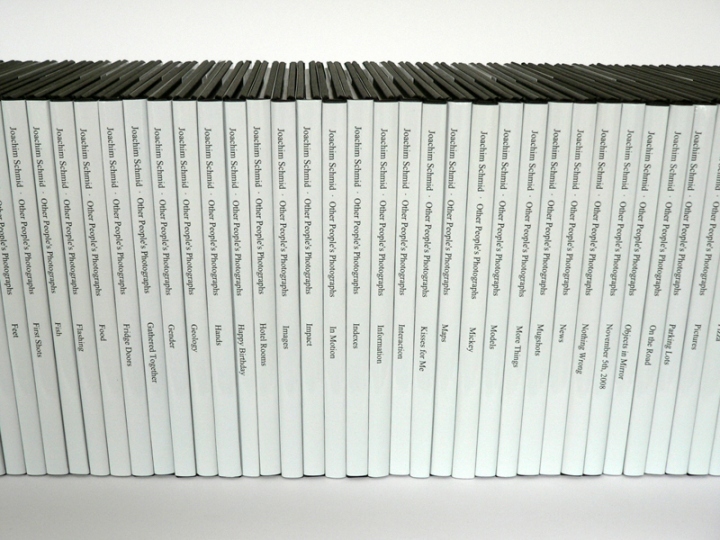 These copies are a godsend for anyone who wants to study Ruscha's style and sequencing. 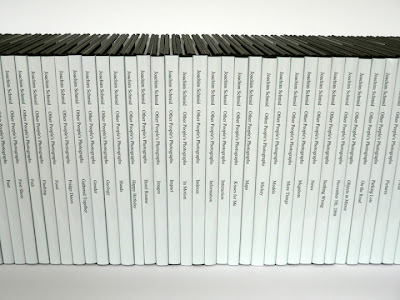 Ruscha's books long out of print and sell for hundred of dollars on the secondary market. In contrast, Doeringer's can be had for $30 apiece. I have one on order now. When it comes in —hopefully this week— I plan to copy every page methodically and then offer my own version for sale. I think I can get the price down below $15. If you're interested in this book or any of my other artistic appropriations mentioned above, email an inquiry and I can get your order started. But please do so soon while it's still legally possible. If Prince's appeal is unsuccessful I may have to suspend the offer. This could be endless. I will appropriate your Doeringer appropriations and give them away for free. Anyone that appropriates my appropriations will have to pay art lovers to take them. Are you sure that's an appropriate response? It's certainly a timely one, Blake. From this week (or thereabouts), free photobooks. Really. Blake sounds like you're going to be busy. I think you'll have to set up a studio with lots of minions (like all of the great artists have). Let me know if I can apply for an internship and work for free while you rake it in. Hey, a bit off topic... are you using some sort of generator for your header quote? Jack, the best thing about appropriations is you don't need to hire minions. The photos are already made. Just stamp a new name on them and you're good to go. About the header, no special program. I just write new text into a blank gif template (often appropriating songs and poems, e.g. "Howl"). There will be a quiz later where you'll need to identify all the sources. hilarious post! I've appropriated it by pinning to Pinterest. Best post ever. I might post it to WCST as my own. hows this, for 1p I will confirm to anyone you wish (1p per confirmation) that you own one of these books/pieces of art.